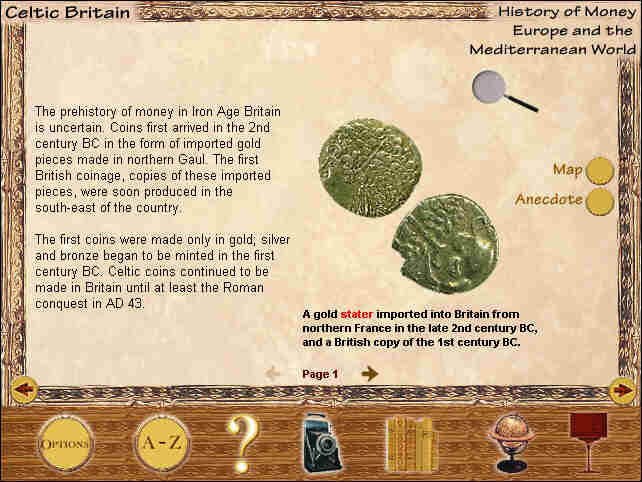 Following on from the impressive development of the new HSBC Money Gallery in 1997, the British Museum has launched into the world of electronic publishing with the World of Money, an "interactive exploration of money worldwide from ancient times to the present day". Intended for ages ten to adult, the CD promises "a mine of information about the use, form, history and importance of money around the globe", and "fun and information for all the family". Reviewing in a Mac-unfriendly environment, I have been able to run the CD only on a PC. On a 166Mhz MMX with 32Mb RAM and a 12x CD it runs impressively quickly, with no more than two or three seconds of the "loading new page" display when switching between different parts of the program. Minimum requirements are listed as a 486 with 8Mb RAM, 40Mb free hard disk space, Windows 3.11 or Windows 95, 4x CD drive, 1Mb 256 colours graphics card, 16-bit Sound Blaster compatible sound card, and a VGA monitor. Minimum requirements for the Mac are listed as System 7, 603e processor, 16Mb RAM, 40MB free hard disk space, 6x CD drive, 1Mb video card and Apple monitor or Multisync with adaptor. The CD opens with an image of the British Museum portico, through which we are taken into the foyer, complete with the sound effects of massed ranks of tourists. We have four options available on a lectern, or by turning left, right or going upstairs: History of Money, Information Centre, Activities, and Options. 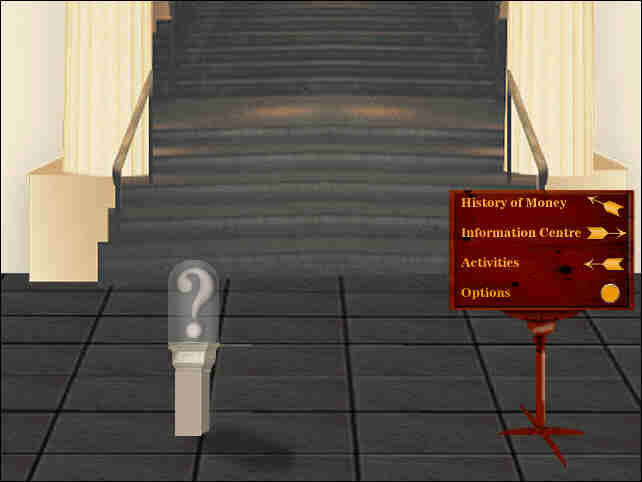 Clicking on a large question mark brings up the Help screens (Figure 1). 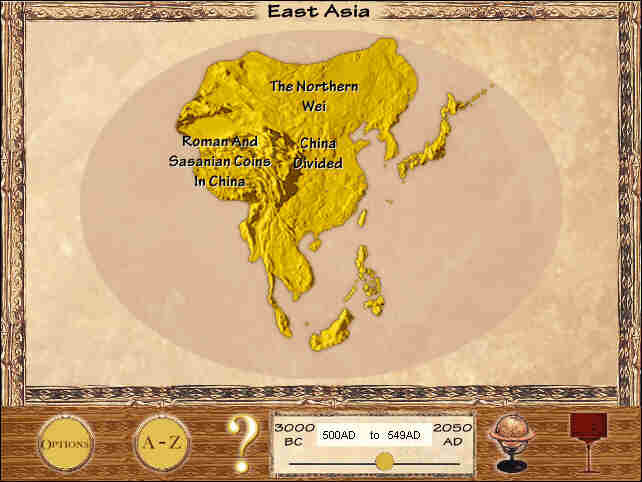 This section opens with a world map and a time line, from 3000 BC to the present day. By clicking on a particular geographical region and altering the date range, a succession of topics are presented in different areas of the selected region, and these can be clicked on for direct access to the relevant information (Figure 2). 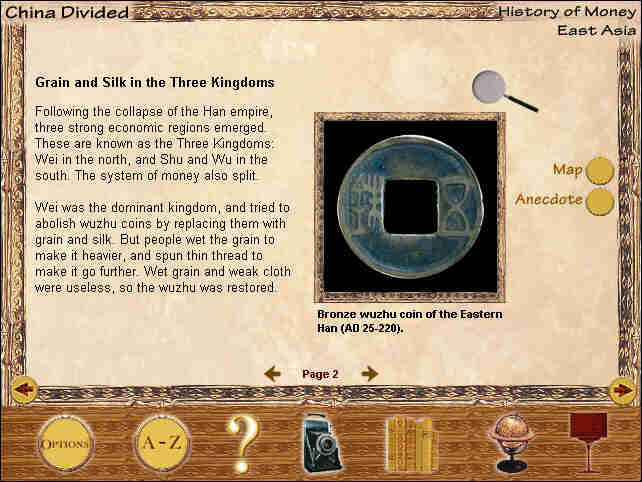 Usually this consists of three to five screens, with a couple of paragraphs of information on each, images of relevant coins, and sometimes a map, anecdote or video (Figure 3). Highlighted text can be clicked on to lead to definitions in the glossary (red text) or other pages of information on the CD (blue text). 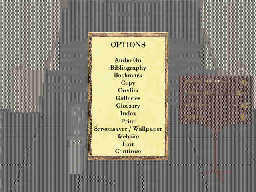 Arrows at the centre bottom of the screen allow movement through this particular topic; by clicking on the outer arrows, at bottom left and right, it is possible to move backwards and forwards to other topics, although these are not always spatially or temporally close to the subjects on either side. It is also possible, using the Options button on the lower left, to "Return from Last Jump", when navigating from a different part of the CD, and also to return to the general index, using the A-Z button alongside. The Index always defaults back to the first page of A rather than the page which was last consulted, which is mildly irritating when looking up pages based on the same or similar keywords, though this problem can be avoided to some extent by making use of the bookmark facility on the Options menu. Clicking on the illustrated coin usually flips the image to show the other side. This is a nice touch, although some coins do not reverse in this way, for no obvious reason. 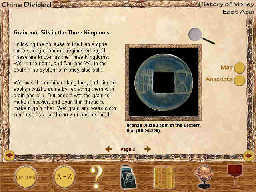 Clicking on the magnifying glass alongside the coin enlarges the image. The images, drawn almost entirely from the British Museum's own magnificent collection, are of very high quality, and in most cases can be printed out (Figure 4). In contrast, the standard of the accompanying maps varies enormously across the CD. Spelling mistakes are commonplace, and it would have been useful to have seen more landscape characteristics - rivers, in particular - on some otherwise blank landmasses. Clicking on the anecdote button brings up a short quotation, which is also read out when the Audio On option is enabled. The anecdote seems always to remain the same through each of the four or five screens for a particular topic, and thus it is not always particularly relevant to each screen. There are relatively few video clips available, typically lasting five or ten seconds, and it is difficult to see what value most add to the CD; they could easily have been omitted. 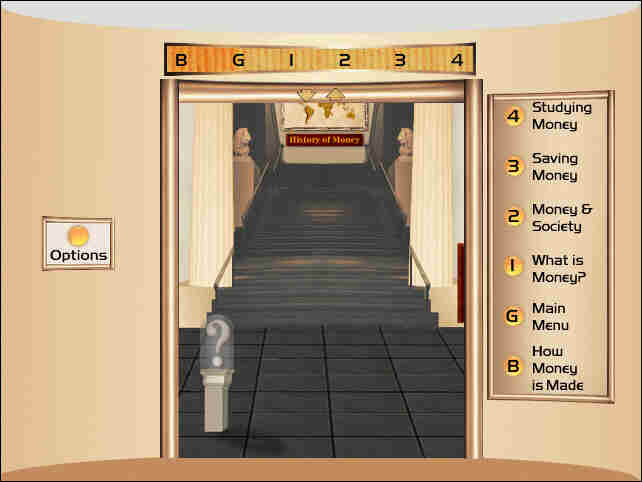 The Information Centre is entered by way of a lift, with five floors each presenting a different aspect of the study of coinage: how money is made, what is money, money and society, saving money, and the study of money (Figure 5). Clicking on one of these takes the viewer to the relevant floor and a succession of screens of information on each topic. These take much the same form as the History of Money section, with a few screens for each subject. Again it is possible to navigate to successive topics or to jump to related subject areas. 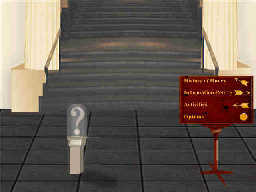 The Activities option presents a choice of five games. Budget Power will undoubtedly be good training for future politicians forced to make tough decisions on the allocation of resources. Money Gallery - which involves replacing coins fallen from a display, linking the image of the coin with a short description - will presumably be useful for future museum curators. Both this and Pig Futures are effectively multiple choice tests of what has been learned from browsing the CD. 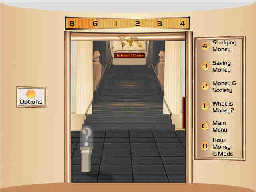 Moneymaker provides a basic graphics program to design coins, cheques, banknotes and credit cards. Treasure Ship involves a dash across a map, firing cannon balls at a chasing pirate ship while avoiding shipwreck, and is totally devoid of educational content. It is thus by far the most entertaining game, although it seems grossly unfair that the pirate ship is able to cross land as easily as it crosses water. This menu presents a list of choices including an A-Z index, bibliography, glossary, a link to the World of Money website, credits and so on (Figure 6). The "dedicated World of Money website" (http://www.world-of-money.com) is something of a disappointment, suffering from bad HTML and providing little additional information. The "money of the month" seems not to have been updated for several months, there is a page of rather randomly selected links, a few puzzles, and contact information for the Department of Coins and Medals at the British Museum, and for technical support. It does not fulfill the impression given by the publicity of an integral part of the World of Money experience, but rather as a somewhat hastily tacked-on addition. So much for the structure of the CD. How does it perform in practice? Not unnaturally, I headed straight for my own area of specialization, Celtic coinage. The A-Z index lists ten possibilities involving the keyword "Celts". Choosing "Celts, Britain", one gets four screens of basic information (Figure 7). 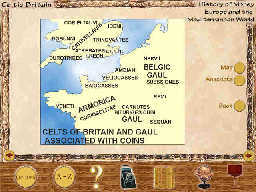 The first three refer mostly to the earliest imports of coinage, prior to the Gallic War, illustrating four coins in the process. The captions for two of the British Celtic coins (Tincomarus and Tasciovanus) are incorrectly dated to the mid-first century BC. 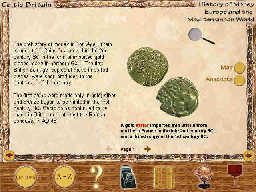 The fourth screen in this section displays a few snippets of information about Cunobelin, and one more coin. The quality of the accompanying map is very poor (Figure 8). 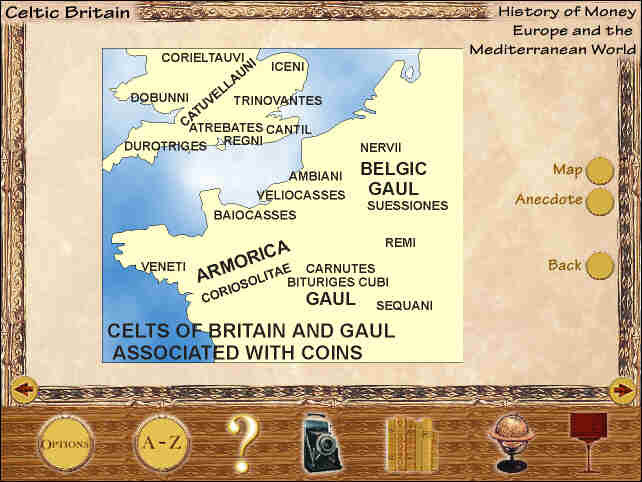 "Cantii" is misspelled, several tribes are shown hundreds of kilometres from their correct location, and the choice of Gaulish tribes named on the map is odd, with some major coin producers omitted, and other less significant authorities included. The anecdote is the famous quote from Caesar about the Britons using "gold or bronze coinage or iron bars"; it remains the anecdote for Cunobelin, approximately a century after the period to which Caesar was referring. That would seem, on the face of it, to be the sum total of information on British Celtic coinage. Clicking on the arrows to move on to the next set of screens brings up Early Rome; a step back brings up Celtic Gaul and Western Europe, with another poor quality map. However, if we click on the book icon representing related topics, we can choose Celtic Britain from the "study of money" section of the Information Centre, and here is a slightly more accurate map of the British coin-using tribes. It is reproduced from this author's Celtic Coinage in Britain (Shire, 1996), though not acknowledged as such here. It does not seem to be possible to access this page from the A-Z index, unless it is indexed under a subject heading I have been unable to guess at. How about the bibliography? This is available through the Options button. Alas, there appear to be no bibliographic references at all for Celtic coinage, not even to the British Museum's own catalogues. It seems only fair to choose another subject, one with which I am totally unfamiliar. I chose the Mongol emperors, for no other reason than it struck me as a potentially interesting topic. Attempting to call up the relevant pages through the map and timeline in the History of Money presented the first potential problem, since it obviously requires at least superficial knowledge of their location and date to find the desired pages. 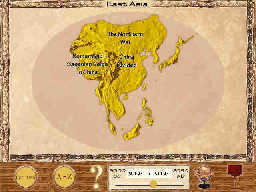 That problem surmounted, by moving the timeline cursor a century or two and eventually turning up "The Mongols" hovering over China, the viewer is presented with four screens on the "Mongols of East Asia", including a potted history with dates, names and places, and the usual selection of impressive coins and paper money. 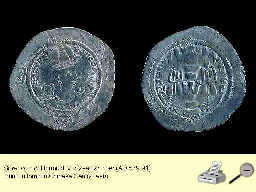 Clicking on to the next topic brings up "Re-introduction of coinage", which relates how the Mongols were overthrown in 1368. As with the Celts, more information can be obtained by clicking on links in the text or on related topics, which brings up the Mongols of the Islamic world. Once again we have four screens of basic information, this time with a reasonable map. Calling up these pages from the A-Z index is rather simpler, since it obviously requires no more than the ability to locate M in the index; once there we have the choice of "Mongols in China", "Mongols in China, overthrown", and "Mongols in Iran and Iraq", or in other words the three topics eventually obtained through the History of Money map and timeline. The search for more information in the bibliography is, like that for the Celts, not especially rewarding. The bibliography is arranged in eleven sections, beginning with general texts and a list of a few American and English numismatic periodicals, moving on through (for example) "The Roman world" and "Medieval Europe", and ending up with "The Modern Period and the future of money". 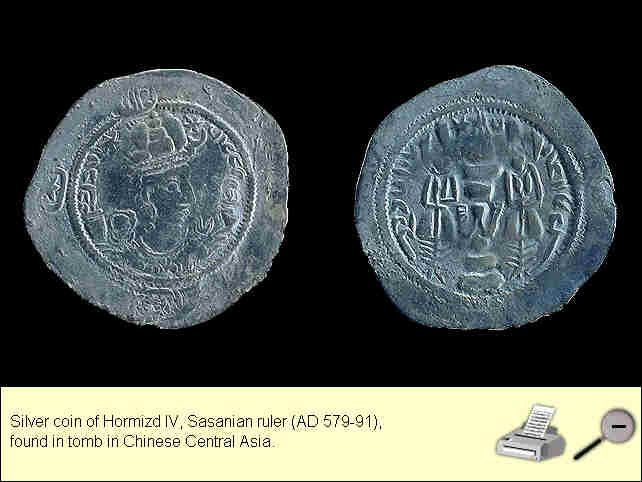 So as with the initial attempt to find the Mongols through the History of Money map, this requires some previous knowledge of where their coinage is likely to crop up. There are several possibilities under "China and East Asia", "South and South East Asia" and "The Islamic World", but nothing which obviously and straightforwardly is going to provide the required information. It would surely have been more sensible to link such references, if they exist, directly to the pages about these topics, rather than expect the user to be able to guess which of the books or articles in the bibliography might be appropriate. This CD is evidently not going to provide detailed information on every aspect of world coinage, and in fairness that is never implied in the accompanying publicity. Its primary purpose is to provide basic information in an attractive and relatively straightforward way, and this it does well, for the most part. There are understandable variations in the quality of the information presented, which presumably reflect variations in the enthusiasm or knowledge of the contributors to the project. Occasionally I believe the standard of this information falls below an acceptable level, and I would single out some of the maps as being particularly poor. The bibliography does not work as well as it might, and it is difficult to use to obtain guidance to further reading on the more obscure areas of coinage covered by the CD. This is perhaps an area where an improved World of Money website could be useful. Does it provide "fun and information for all the family"? I suspect the appeal of the games will pall fairly rapidly. The CD as a whole will I think appeal most to coin collectors, probably young rather than old, and of course to those who don't necessarily collect the objects but find the subject interesting. After several hours browsing, I found the most rewarding approach was simply to choose random items from the A-Z index and see where they led me; the level of information provided is ideal for this sort of approach. The World of Money is not much more expensive than, say, Jonathan Williams (ed. ), Money: a history (British Museum Press, 1997, hardback £17.50), while including four times as many images. While I imagine that many people would still prefer to flick through a book than click through the CD, for those who enjoy their information in electronic form this CD provides a welcome introduction to the world of coinage.